Lego Fun: It’s been 9 years since I put together my last Lego play set. Good times! Have you guys seen the movie? Well, don’t worry, I’m not going to give anything substantial away. But I will say this much, from the amount of mini figures at appeared on the big screen, I could almost imagine the powers that be over at Lego and DC Comics locking arms and literally doing the dance of joy. It was after all an instant merchandise bonanza and commercial success. In the Lego Batman movie, Lego Batman has loads of Batsuit mini figures that is sure (you can take that to the bank) to be released sometime this year. And the Condiment King! I can’t wait for that one. But I digress, my point here is that under different circumstances, I would be a staunch opposed to variant Batmans. But somehow, this marketing gimmick seems to work in the Lego world. With all this in mind, I decided to take a dip and purchase some of the Lego Batman Movie sets such as the Mr. Freeze Ice Attack (70901) and the Clayface Splat Attack (70904). It seems that everything is falling under the attack category these days. But seriously speaking, these are two of the cooler (pun intended) sets out there as they come with deluxe Lego figures in Mr. Freeze and Clayface. Here is a time-lapse video of working on Clayface, Lego Batman, and Mayor McCaskill this afternoon. The whole thing took an estimated 1 hour and 28 minutes to complete. 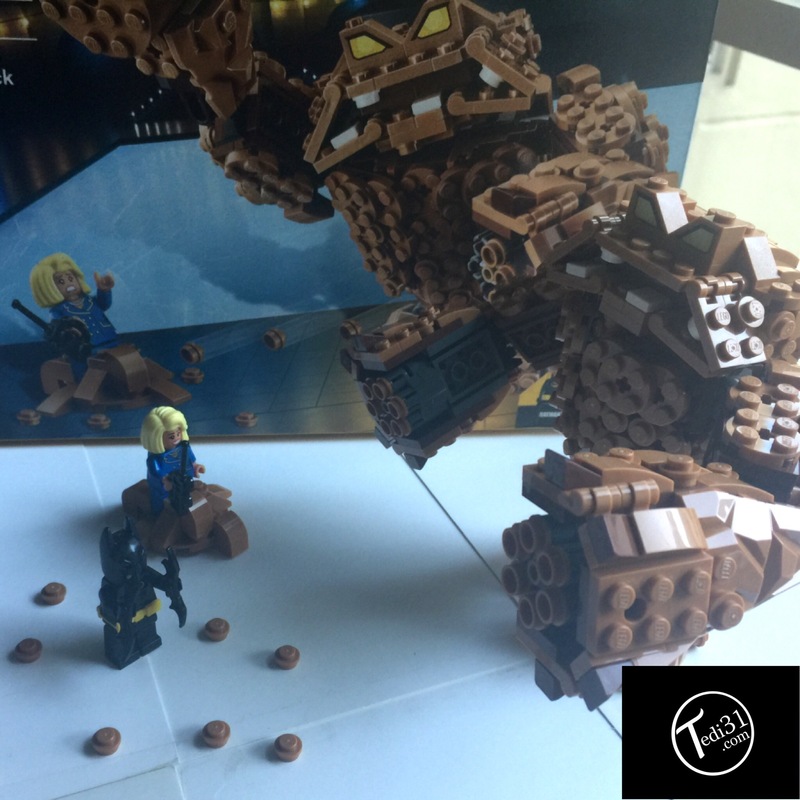 The Lego Batman Movie: Clayface Splat Attack set comes with the aforementioned–and highly posable–Clayface figure (with interchangeable clay hammer arm); Lego Batman (with Batarang); and Mayor “Mariah Carey” McCaskill (with walkie-talkie).